Giulietta Sprint Veloce 10106*159755, 00106*02602. 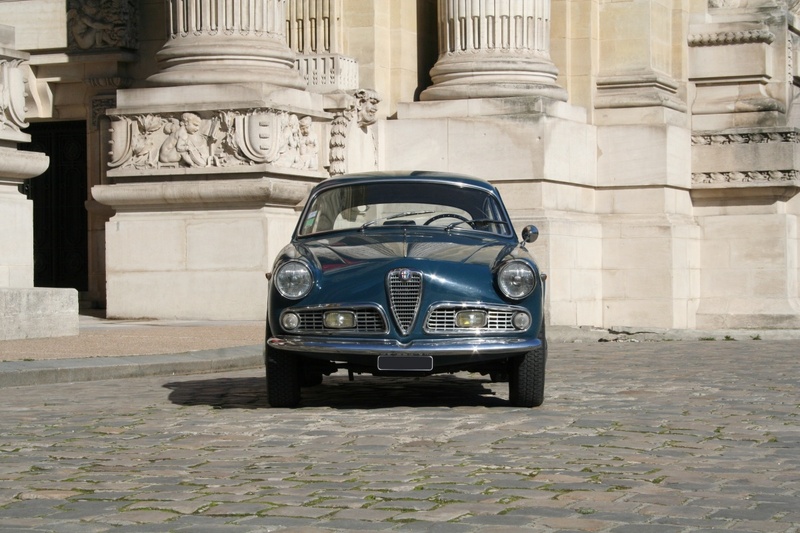 This car was auctioned by Artcurial on November 1 but failed to sell. Bluette or Tornado blue is a great color. Numbers are matching, and it’s pretty complete, but there is some non-originality and loose ends to be fussed over by the prospective new owner. 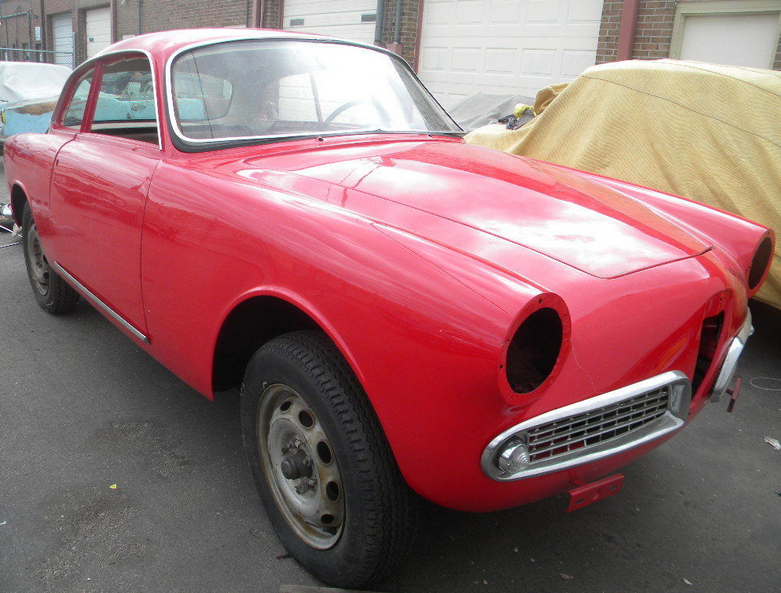 Fog / driving lights recall seldom seen Bertone accessories -probably Cibie or Marchal units. Looks like an honest driver Sprint in a very nice setting. I can take a hint guys! A few of you pointed me in the direction of Arcurial’s ‘Automobiles sur les Champs 4’ auction taking place in a few days where four Giuliettas will be sold. Check it out! 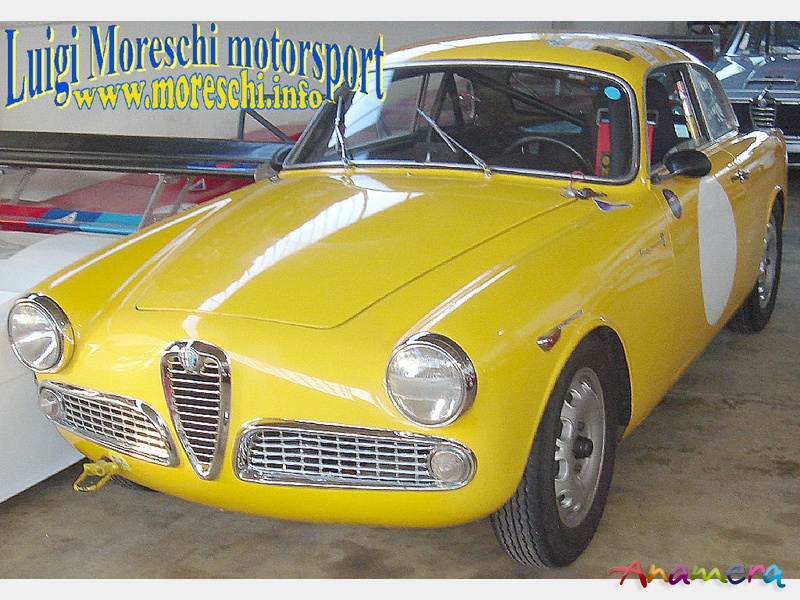 Giulietta Sprint 750B 1493*03793, 1315*03496. Nice early Sprint Normale expected to make 24,000 – 30,000 Euro’s. Probably the good deal of the four they are offering. A lot of effort went into this car to make it look good. Correct 155 series tires, great fit and finish all around. Small headlamps are a big selling point for some collectors. Update 3/13/12: Henrik from Sweden has found out the vin number. Turns out it is one of the very last Sprint Veloce’s -the last car is 350961. 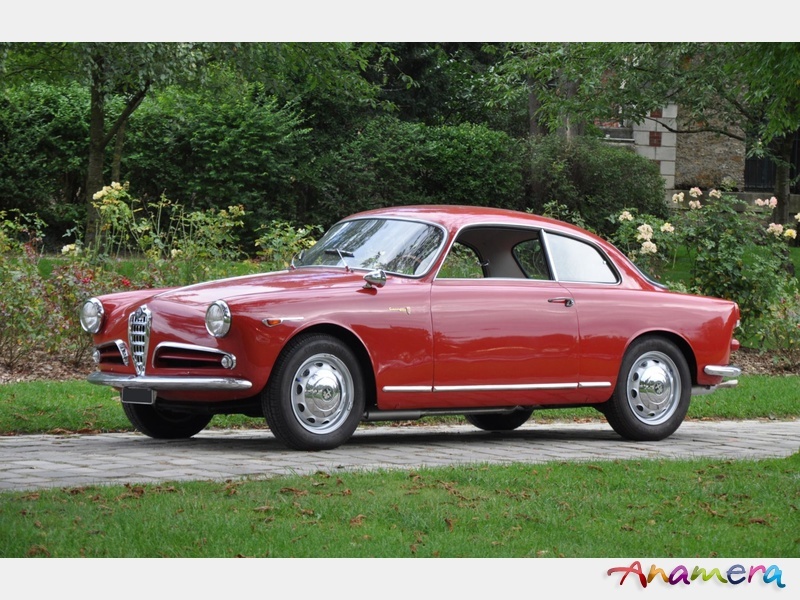 Giulietta Sprint Veloce 10106 350633. Henrik and Frank both sent me a link to this car today, listed on a Swedish site with lots of cars for sale -mostly new. 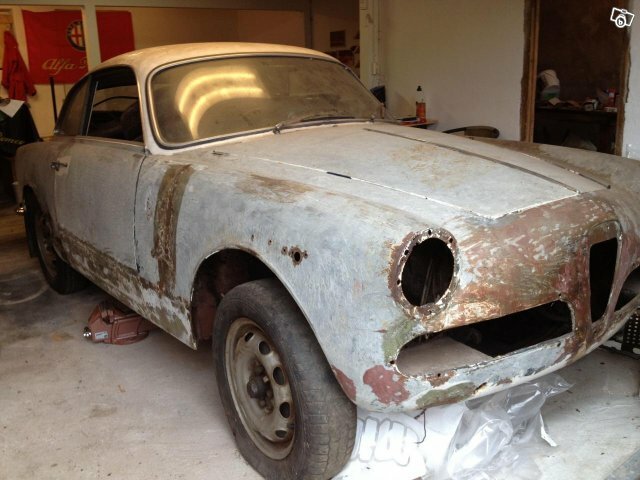 Text of the ad reads “Unique Alfa Romeo-62 in very good renovation condition. Super interior. Complete car with engine and gearbox. One of the few Veloce in Sweden. 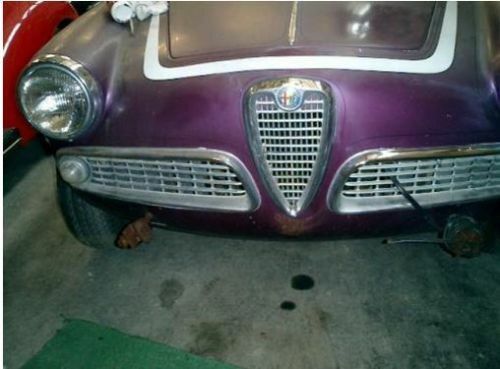 The car has been standing since -77.” Price is 85,000 which would be about 13 000 USD. Seller lists it as a 1962 750E, so either they are wrong about the year or model -looking at the pictures, I suspect it’s a late 10106. One wonders if the paint was removed in 1977 or soon there after. Body is decent and straight. Sweden looks to have been a ‘side marker light’ country. Giulietta Sprint Veloce 10106*157435. This car is listed on Anamera as available now out of Italy. It’s a rough and ready racer with a spartan, uninspiring interior and lots of modifications. Asking price is 32,500 Euro’s or $41,500 at the time of writing (as the Euro depreciates against the dollar). I’m not much into yellow, but it works on Sprints. Body looks pretty straight -no glaring problems. Hood fits well and the grills all look nice. Lots of trim is missing, but that’s just dead weight -right? Wheels look as though they may be original Cromodora’s.